We’ve all been there – friends and family are coming to visit (…again) and you need to find somewhere impressive (but traditional) to take them for dinner. Somewhere that will say all of this on a plate: I know how to avoid Ghent’s tourist traps, I know what the most typical dishes are (and can pronounce them) and I’m not just eating at Pizza Hut every night. If you’re stuck for somewhere to impress your guests, or just fancy a delicious meal out, try one of our recommended restaurants below. For more general dining information, see our post about eating out in Ghent. 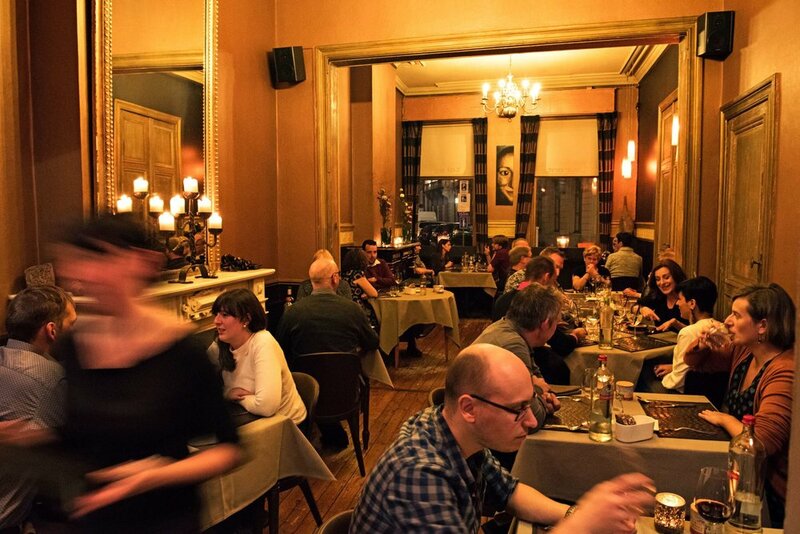 Even though it’s just a couple of doors down from one of the most touristy bars in Ghent (Dulle Griet, on Vrijdagmarkt square), Keizershof draws in the locals with crispy cheese and prawn croquettes, perfectly cooked steak, and chocolatey moelleux that oozes with precision. 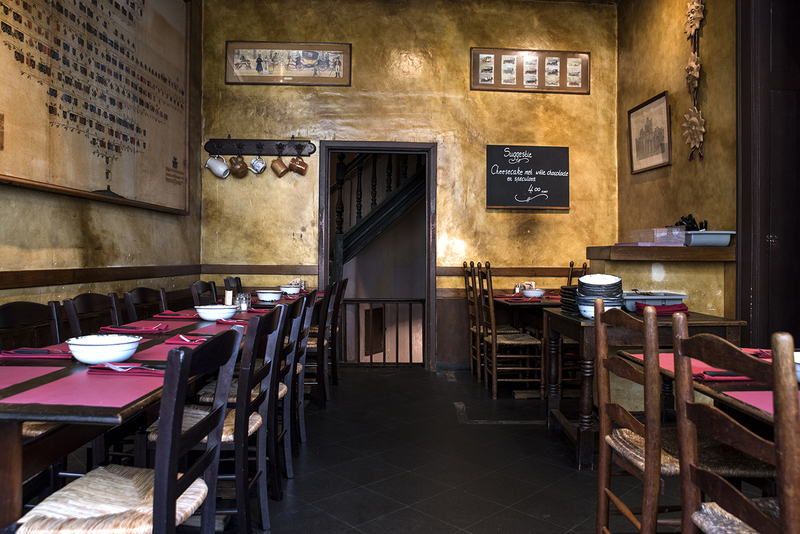 Their small menu focuses on good-quality classics for around 18 euros (main course). And they also often have new craft beers which means you can keep up to date with the Belgian brewing scene too. If you’re standing on Sint Baafsplein staring up at the cathedral tower, you would be forgiven for missing this restaurant. De Foyer is tucked away on the first floor of the National Theatre Gent. Inside it’s all dark wood panelling and waiters in waistcoats. In the summer you can sit on the terrace and people-watch. Every month or so they change their set menu, which tends to be about 40 euros for 3 courses. The delicious all-you-can-eat Sunday brunch (around 25 euros) is a crowd pleaser. Ok, this can be a little touristy sometimes (it’s right next to the castle), but if you want ribs it’s definitely the locals’ choice. De Gekroonde Hoofden offers all-you-can-eat ribs (18.90 euros per person) done either natuur (plain) or with one of three sauces – honey, herby or sweet and sour. Every time you get a new rack you can change your sauce too. If they’re fully booked, try one of Ghent’s three Amadeus ribs restaurants as an alternative. Toi et Moi, fotografie : Bart Albrecht I TableFever. Wendy and Sven are your hosts at Toi et Moi, set in a traditional townhouse near St Michaelskerk. With only Sven in the kitchen and Wendy managing front of house, it’s a small place where you’ll be made to feel like a private guest. The dishes are a picture on a plate and each month they change their set menu, which is 50 euros for a starter, soup, main course and dessert. 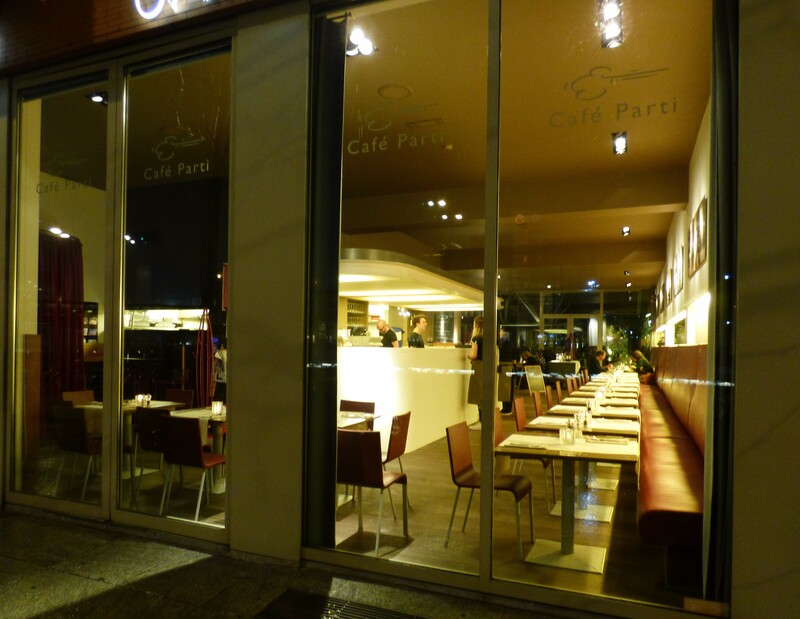 Cafe Parti is directly on the square outside Gent Sint Pieters train station, which means you can launch your friends into the Ghent dining scene as soon as they arrive. Restaurants next to a main train station can be a bit hit and miss, but this is always a reliable choice. There’s a lovely courtyard terrace for outdoor dining during the summer, and their Sunday brunch (32.90 euros) is a popular affair, so make sure to book. 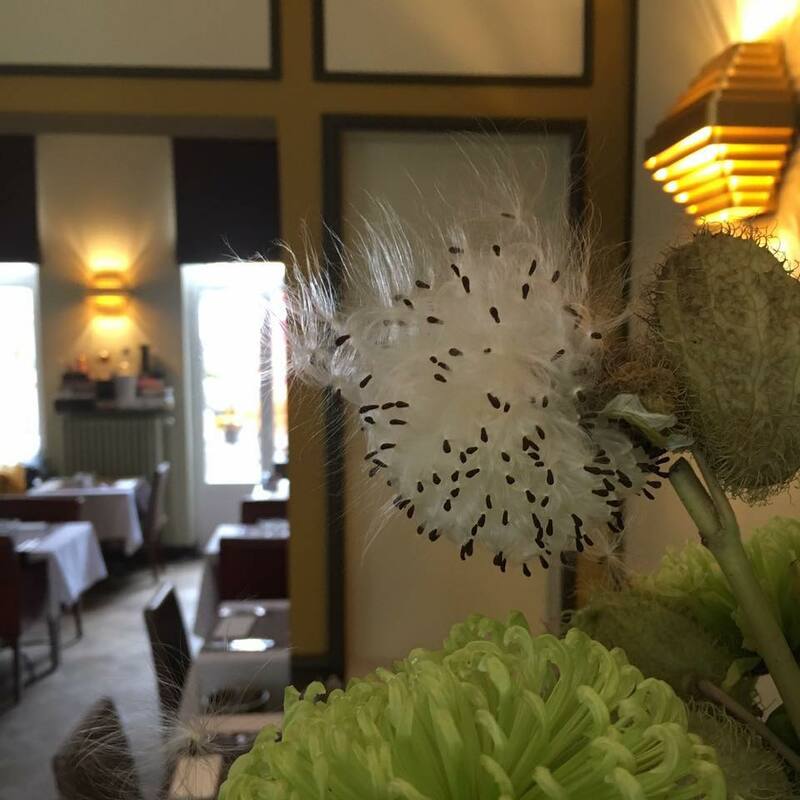 Contrary to its location on the slightly frantic road between Zuid and Sint Annaplein, Faim Fatale is a relaxed spot for an evening of fine dining. You can choose from the à la carte menu but the ‘surprise menu’ (52 euros for 4 courses) is much more fun. From scallops to eel to game – whatever is currently in season is beautifully presented. For an extra 21 euros each course comes with a different glass of top-quality wine. Do you have any favourite restaurants in Ghent that you would recommend? Let us know in the comments section below so we can share them here.